With Clearwire now fully under its belt and a Softbank merger expected to finish up tomorrow, Sprint has managed to find time to squeeze a little smartphone news into this still-young week. 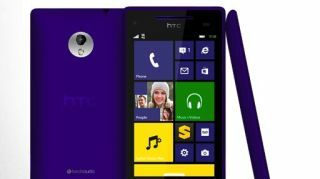 The carrier today revealed that the HTC 8XT, one of two Windows Phone 8 devices announced last month for Sprint, is due to go on sale Friday, July 19. The standard Beats Audio is there, but the 8XT also comes packing BoomSound, a hip term for dual front-facing stereo speakers with a dedicated amplifier for bigger sound, more detail and cut-down distortion. A 1.4GHz dual-core Snapdragon, 4.3-inch screen and 8MP camera are all nestled in the $99.99 (after $50 mail-in rebate) phone. The other WP8 phone unveiled June 28 - Samsung's Ativ S Neo - is still holding onto its mysterious "this summer" release. We're not going anywhere, Sprint, so feel free to pass that info along anytime. Want more news? No "coming soon" guises here when it comes to consuming our blips.